Arriving in Cape Town you will be met and transferred to your hotel. Rest of the day at leisure. • The Castle of Good Hope, which stands proudly on the outskirts of the CBD, was built between 1666 and 1679 by the Dutch East India Company (VOC). The Castle was developed as a maritime replenishment station, and from 1678 it was the centre of civilian, administrative and military life at the Cape until the area grew and operations expanded elsewhere. Today, the Castle is the seat of the military in the Cape, and is open for visitors to explore and learn more about its history. • Tucked under the slopes of Signal Hill, the Bo Kaap is a fascinating and vibrant area that was somehow bypassed in the forced removals of the Apartheid. Also called the Malay Quarter, this area is characterised by its multi-coloured cottages and steep cobbled streets, as well as its exotic Malay culture. No tours in Cape Town would be complete without a visit to the Bo Kaap! • For those who enjoy a sense of history, the South African Museum offers a look at life throughout the ages in South Africa. Many exhibits can be found here, and there is also a Planetarium situated within the building. The museum is situated in the Company Gardens, which holds the Seat of Parliament. Pristine lawns, shady paths, ornate fish ponds, statues of past leaders and plenty of curious squirrels are just part of the Company Gardens’ charm. Rate includes: Registered tourist guide, transport in air-conditioned vehicle, and entrance fees to South African Museum. 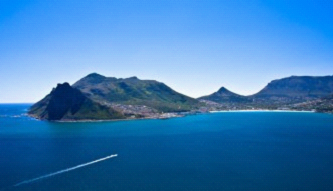 Cape Town is set on a spectacular mountainous peninsula that is washed by both the cold Atlantic and warmer Indian oceans. Strong mountains and deep bays have created unique and diverse natural areas and human settlements that are full of character and interest. The City centre is located on the shores of Table Bay in a natural amphitheater at the foot of the iconic Table Mountain, a New7Wonder of the World. 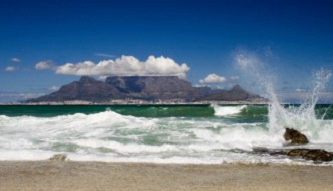 The Atlantic seaboard includes prime white sand beaches such as Clifton, Camps Bay and Llandudno. Nature Reserve. Quaint villages and historic towns line the False Bay coast with its attractive beaches and stunning scenery. There are several historic wine estates and newer boutique wineries dotted along the Peninsula. Rate includes: Registered tourist guide, transport in air-conditioned vehicle, and entrance fees to Chapmans Peak, Cape Point and Boulders. Cost based per person sharing. Includes return transfers in Cape Town. 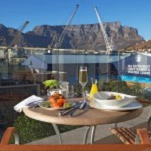 3 nights accommodation on bed and breakfast basis, a half day city and table mountain tour and Full day Cape Point tour. 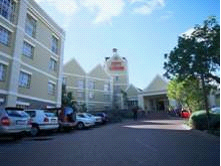 The Queen Victoria Hotel offers a myriad of ideally located upmarket hotels, other accommodation options and restaurants. What sets this unique five-star boutique hotel apart is the attention to detail given by the creative team responsible for its development, who achieved this through their unwavering passion for awe-inspiring design. 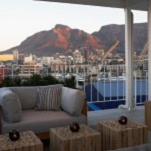 From the creative brief of ‘where classic elegance meets contemporary design’, every effort has been made to ensure that the 35-room Queen Victoria Hotel is a haven of calm, luxury and understated opulence amid the hustle and bustle of Cape Town’s popular V&A Waterfront. 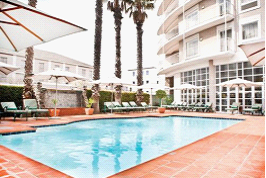 A centrally located hotel at the gateway to the vibrant and dynamic V and A Waterfront, within walking distance of Cape Town’s CBD, close to the N2 motorway and 15 minutes from the international airport. A nautical theme runs through the hotel and a spa-pool is available for guests to relax in the warm Cape weather.